With a lovely swimming pool, Spa and Sauna, Moulin de Garreau is an exceptional and unique property set in a peaceful, rural location in the South Vendee, yet within easy reach of all amenities. 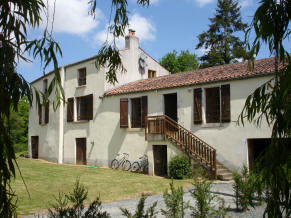 This 18th Century farmhouse Gite has 5 bedrooms comfortably sleeping up to 12 people. It has been sympathetically renovated and blends the charm of old French Country living with modern day convenience. Set in a hectare of private wooded gardens with a small lake, Le Cedre Gite offers peace and tranquillity without isolation...... Location Sunny South Vendee. Table tennis & snooker table Private, heated swimming pool. Located in South Vendee, this 5 bedroom property (sleeps 14 plus baby) situated in a quiet location yet within easy reach of all amenities. Comfortably furnished and equipped to a high standard, set around an enclosed sunny courtyard with a children's play area. Shared leisure facilities include a large garden comprising a lawn suitable for ball games. 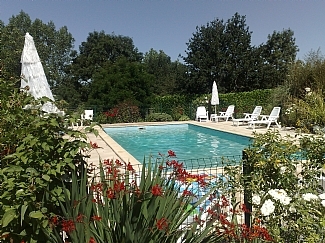 A large heated swimming pool with Roman end, sunbathing terrace and lawns. Situated adjacent to the pool there is a large open barn & games area. Located in La Tranche, Vendée, West Coast of France - traditional style Vendéen 5 bedroom (sleeps 11), two bathroom luxury villa on the edge of La Tranche in small exclusive estate of Quichenottes. 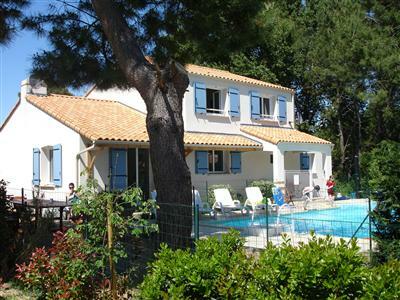 The villa is a 10-15 minute walk through the woods along a cycle track to the superb long soft sandy beaches, and walking distance to the delightful seaside town of La Tranche-Sur-Mer, one of the loveliest and most unspoilt holiday destinations in France. Large private heated pool, garden, all mod cons. A lovely property situated in a quiet location yet within easy reach of all amenities. Comfortably furnished retaining character and original features, equipped to a high standard, and set around an enclosed sunny courtyard with a children's play area. Set in the South Vendee,on the edge of the Marais Poitevin region of the Western Loire, this is a 4/5 bedroom farmhouse which has been recently renovated. Private heated swimming pool (10 m x 5 m ), and large well maintained gardens. Table Tennis. WIFI. An excellent choice for a family/child friendly holiday. 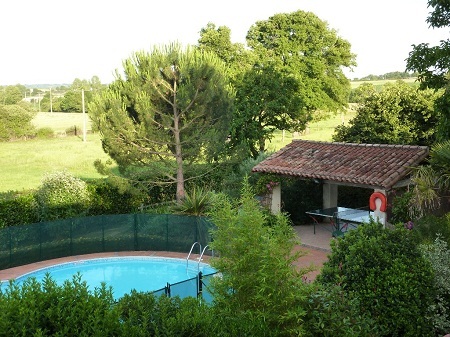 Extremely spacious Maison Bourgeois situated in a typical French village. Sat within walled and gated grounds of one hectare with heated swimming pool offering an abundance of safe activities and entertainment to suit all the family and is within easy reach of many tourist attractions and the coast. This property has 5 bedrooms and sleeps 13. Located in Deux-Sevres, just over the Vendee border. FANTASTIC PROPERTY! 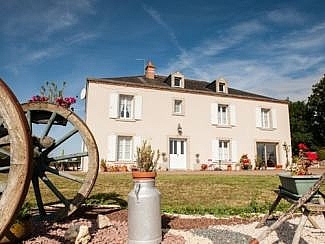 Complex near Cheffois is a complex of 3 self catering gites, the farmhouse has 4 bedrooms, the cottage has 3 bedrooms and the gite with 2 bedrooms. The three properties are set in extensive grounds and facilities include swimming pool, which is fenced off for security, Table Tennis, large grounds for football and other outdoor games. WIFI access is available.